Euroheat’s TDA Thermodual biomass boiler is quite unlike other central heating boilers on the UK market; in fact, according to Which?, Euroheat are the first company to bring the TDA Thermodual to the UK . The TDA Thermodual, produced by SHT Austria, is designed to run on both wood pellets and wood logs – a combination that had proved ineffective until the launch of the TDA Thermodual, which can connect to central heating systems to provide an environmentally friendly source of heat and hot water requiring neither gas nor electricity for its power. Standard features of the TDA Thermodual boiler include: fully-automatic ignition for wood pellets and logs; automatic operation selection (as in switching between pellets and logs) without change-over; automatic self-cleaning grate and a multi-flow air-valve system. The biomass boiler also comprises a multi-function safety package that permanently checks the entire heating process and responds with immediate effect to any deviations. Conveniently the unit features two fuel delivery systems: the flexible pellet screw conveying system and the flexible pellet suction conveying system. The flexible pellet screw system is suitable for use with pellet storage rooms located next to the boiler room, whilst the flexible pellet suction system can be used to transport pellets from a basement storage room, fabric tank or an external terrestrial tank. The TDA Thermodual boasts a gross efficiency rating of 93 per cent and a heat output ranging from 15kW to 38kW. The biomass boiler can hold 130kg of pellets and is estimated to run for up to 36 hours on automatic operation. A key selling point of the TDA Thermodual is it can be fuelled using waste wood but reverts to pellets when alternative supplies are exhausted. Lizzy Ruffles of Which? 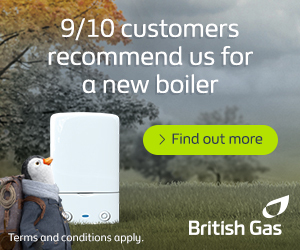 advised: “If you’re not connected to the mains gas network, a wood heating system could be a good option for central heating and hot water if you don’t want to use electric storage heaters or an oil-powered boiler”. The TDA Thermodual may also represent the first viable alternative to gas or oil-fired boilers in an environmental context, as the burning of biomass fuels is regarded as carbon neutral in so far as CO2 emissions are part of the current carbon cycle. I am not sure where the claim for first UK biomass pellet boiler comes from. May I suggest that Home Heating Guide and Which check their facts before they publish such headlines which to anyone who knows anything about the sector is completely false. The Department of Energy (formally DTI) has been running grant programs for such domestic boilers for at least 5 years. Indeed there is a list on the Microgeneration Certification Scheme web-site and Clean Air Act Exemption appliances for all certified pellet boilers. Econergy has been selling fully automated log and pellet boilers sourced from Austrian manufacturers Froling and KWB for over 5 years into the UK market. Many other suppliers have also entered the market in the past 3 to 4 years. Chris, Thanks for the note and agree the title is misleading. I can see how the error has occurred and will have it corrected. This article is very useful information for Biomass boilers.